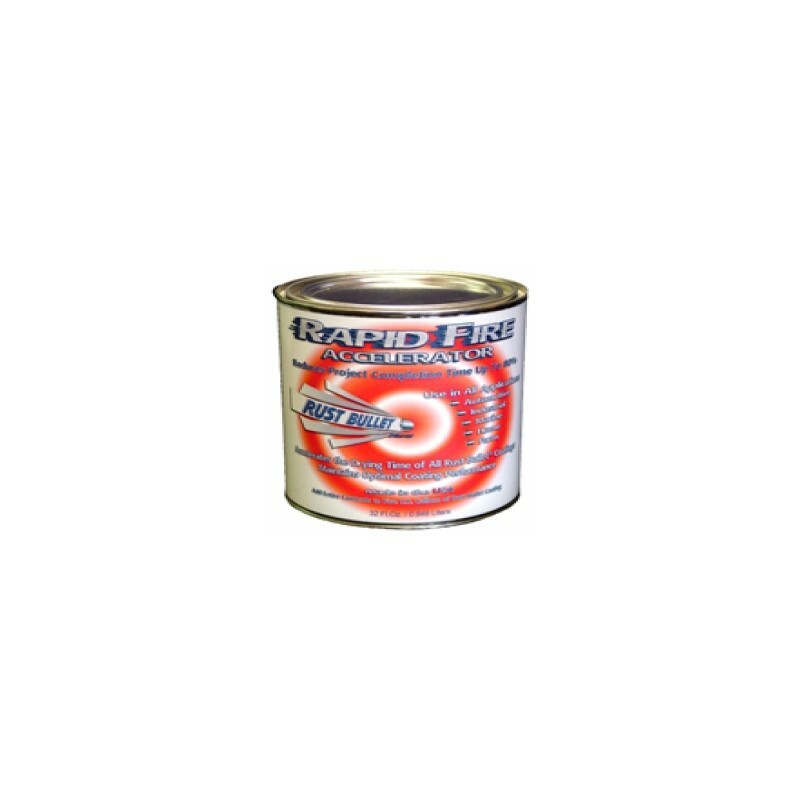 Accelerates 5 gallons of Rust Bullet (18.93 ltr ) Accelerated Rust Bullet Coatings are Designed for Spray Applications Rust Bullet Rapid Fire Accelerator reduces recoat and overcoat times up to 80% and effectively reduces completion times even as low as 30F (-1.1C). Rust Bullet Rapid Fire Accelerator reduces recoat and overcoat times up to 80% and effectively reduces completion times even in temperatures as low as 30F (-1.1C). 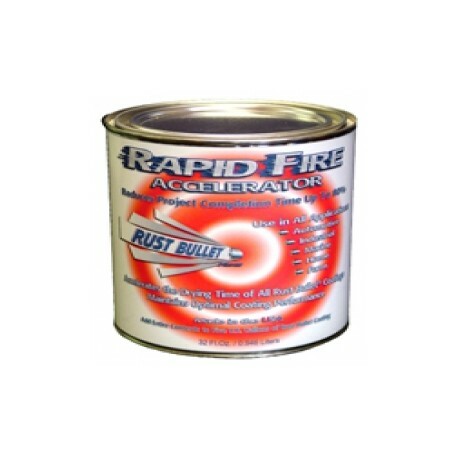 Rust Bullet Rapid Fire Accelerator is a 100% solids, proprietary additive for all Rust Bullet Coatings.